Providing documents to help you successfully capture value from your Yeastar products. Information about what is new and what has changed since the last release. A quick start guide for the administrator who is new to Yeastar cloud PBX. Configuration guides about how to administrate Yeastar Cloud PBX. Security suggestions and measures of your PBX. Integrate or interconnect the Yeastar Cloud PBX with other devices or applications. General references and glossary of Yeastar Cloud PBX. API guide for developers of Yeastar Cloud PBX. Auto Provisioning App helps you set up your IP phones in bulk. Linkus Server App is designed to work with Linkus client. Conference Panel App can realize all conference management based on Web. A quick start guide for the administrator who is new to Yeastar S-Series VoIP PBX. Configuration guides about how to administrate Yeastar S-Series VoIP PBX. 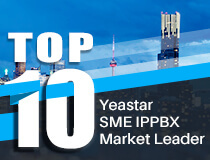 Integrate or interconnect the Yeastar S-Series VoIP PBX with other devices or applications. General references and glossary of Yeastar S-Series VoIP PBX. API guide for developers of Yeastar S-Series VoIP PBX. LDAP Server App provides a centralized phonebook management. VPN Server App helps you configure the PBX as a VPN server. Hotel App provides hotel management with the Yeastar S-Series VoIP PBX. Billing App provides a powerful and flexible billing solution. char utile h+ Integration App provides the solution to integrate Yeastar S-Series VoIP PBX and char utile. Linkus Server guide for administrators of Yeastar Cloud PBX. Linkus Server guide for administrators of Yeastar S-Series VoIP PBX. Linkus Client guide and FAQs for Linkus users. Yeastar Remote Management guide for Yeastar S-Series VoIP PBX, Cloud PBX, and TA1600/TA2400/TA3200 V3. Configuration guides about how to administrate Yeastar K2 VoIP PBX. Installation guide for TA Series VoIP Gateways. Configuration guide for TA400 and TA800 administrators. Configuration guide for TA1600, TA2400, and TA3200 administrators. Configuration guide for TA410 and TA810 administrators. Configuration guide for TA1610 administrators. TR-069 technote for Yeastar TA Series VoIP Gateways. Installation guide for Yeastar TG Series VoIP Gateway. Configuration guide for TG Series administrators. Configuration guide for TE100 administrators. Configuration guide for TE200 administrators. Installation guide for Yeastar TB Series VoIP Gateways. Configuration guide for TB Series administrators. Installation guide for Yeastar TA100 and TA200. Configuration guide for TA100 and TA200 administrators. Like share One person likes this. Sign Up to see what your friends like.